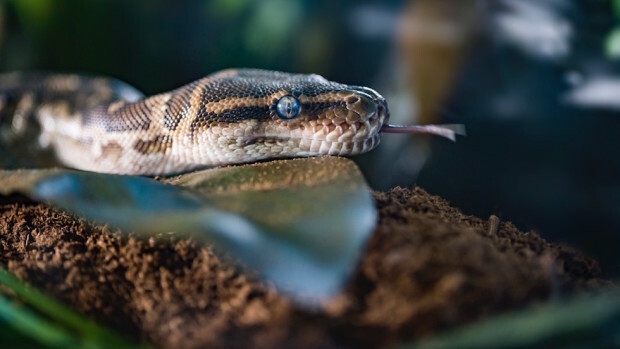 If you have ophidiophobia (fear of snakes), you’re going to need to face your fears – literally – if you plan to ride Busch Gardens’ new roller coaster when it opens this summer. Not only will you face real snakes in the queue, you’ll also come face-to-face with a giant snake statue with four-foot-long fangs. Dozens of artists united to design, engineer, fabricate and thematically paint the snake icon, creating a centerpiece for Cobra’s Curse roller coaster that will bring riders just inches from its fangs. 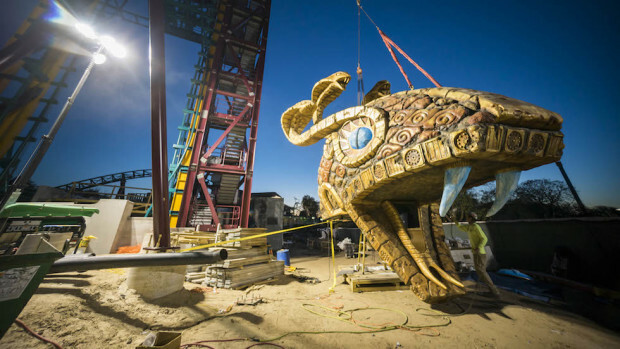 Standing at 80 feet tall, with four-foot-long fangs and three-foot-wide eyes, the icon was constructed of nine stackable pieces with an internal steel spine and an outer shell composed of carved foam and fiberglass. Guests will also come face to fang the moment they enter the Cobra’s Curse queue line, which will feature several of the world’s most notorious snake species that naturally fuel guests’ adrenaline. Guests will be just inches away from the 400-cubic-foot snake exhibit which will include Jameson’s mambas, Angolan pythons and rhinoceros and gaboon vipers. The design of the multi-level exhibit not only reflects the theme of the ride, but also features several animal husbandry and enrichment components designed with the snakes’ welfare in mind, including naturalistic design elements, controlled heat sources and humidity control. The grand opening is slated for this summer. Visit CobrasCurse.com for more information.